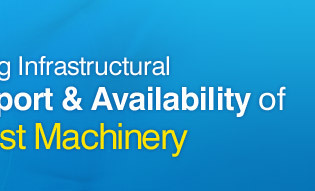 At KERONE, we hold the expertise in designing and manufacturing of custom build Coating Machinery , which are available in free-standing floor or tabletop models, are specifically designed for production applications that do not require large in-line systems. Our coating systems can be used to apply a range of coatings, as well as photo-resists and solder masks, that are part of printed circuit board applications” all with a level of precision that manufacturer demand. We are leading manufacturer and exporter of Curtain Coating Systems and our product is made up of good quality. 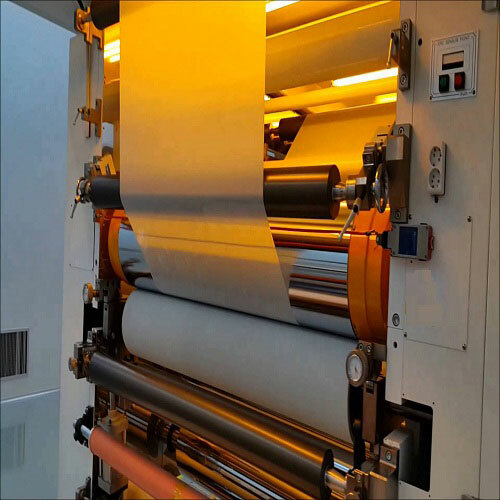 Curtain coating in the slide (single- and multi-layer) or slot (single-layer only) format is being increasingly used for special paper coatings because of its capabilities: copious simultaneous layers, high coating speed and large die-to-web clearance. 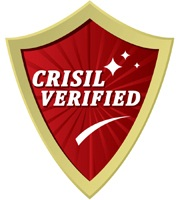 The advantages of the pre-metered methods associated with simultaneous multi-layer application yield a more accurate and uniform coating weight, with fresher and cleaner coated liquids. These advantages lead to big savings in production costs because of less coating colour consumption, less production runs due to multi-layer capability and less machine stops due to web breaks - and in the end to higher efficiency compared to the established coating methods. Speed: This system can coat from 3,000 to 4,000 pieces per hour. Virtually no waste: Since the small amount of unused coating is cycled back into the system, this method wastes less coating than any other. Aesthetics: The only non-spray process that imparts a smooth, glossy finish, with no track marks. Flexibility: Disks can be as thin or as thick as specifications require. 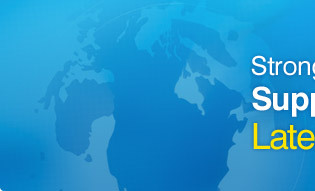 We are leading manufacturer and exporter of DIP Coating Systems and our product is made up of good quality. At KERONE, we hold the expertise in designing and manufacturing of custom build immersion/Dip Coating systems, which are available in free-standing floor or tabletop models, are specifically designed for production applications that do not require large in-line systems. Our coating systems can be used to apply a range of coatings, as well as photo-resists and solder masks, that are part of printed circuit board applications - all with a level of precision that manufacturer’s demand. Dip coating gives a defensive shield that opposes consumption. Insulates against warmth, frosty, stress and electrical streams. Adaptable to high volume requests obliging quick conveyance. Alternative hues and completions (reflexive and matt) can be made effortlessly and financially. 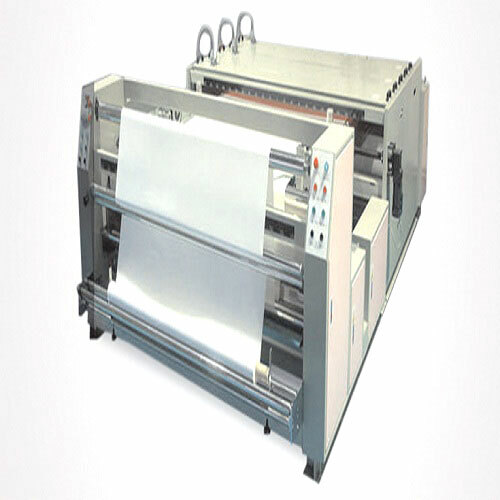 hot melt Coating Machinery can apply to non-woven fabric, paper and various plastic films. 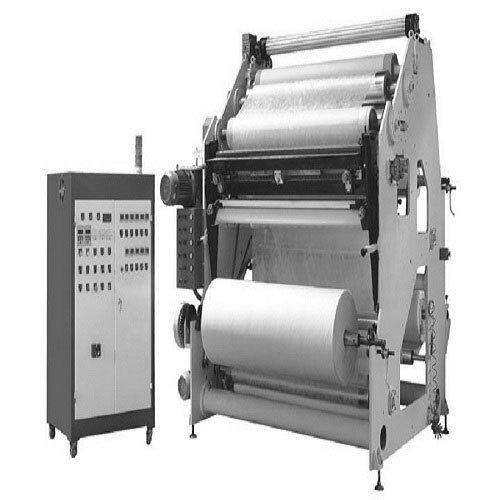 The machine consists of two auto splicing and unwinding units, one glue sprinkling unit and one auto splicing and unwinding unit, so that it can process on two layers material and one layer coating. 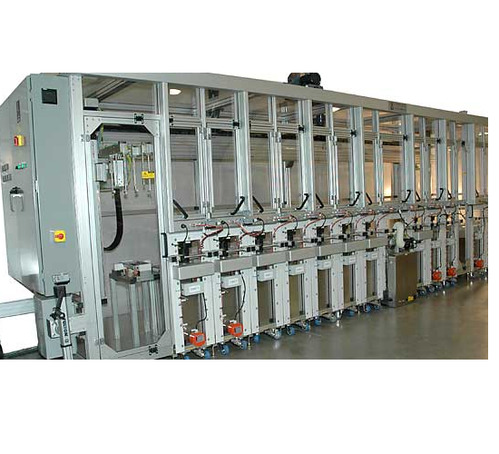 The machine with PLC to do the linking control and auto splicing device can raise the producing efficiency. To enhance and strengthen the fabrics, taps, textile products and other flexible substrates, it is mandate that some type of the coating and lamination required, coating helps the industrial products to achieve the desired level of strength, surface tension, look and feel and improve the durability. 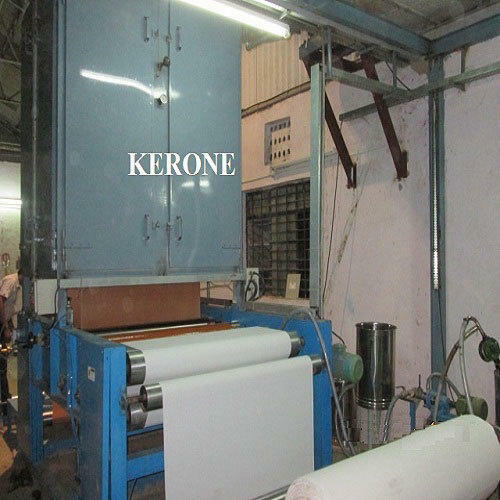 KERONE since last 40 years, with its engineering excellence helping the industries for their need of coating and laminating machineries for the tape, fabric, textile products, and other flexible substances with deep level of the customization. Fabric coating systems utilize any from the below coating techniques: Hot melt Coating Systems, Slot Die Coating Machinery, Reverse Roll Coating Machinery, Knife Over Roll Coating and immersion/dip coating. At KERONE, we hold the expertise in designing and manufacturing of custom build spray coating for the varying need of customer, every single spray dryers designed by us, is known for its performance, efficiency and lower maintenance cost. Food: milk powder, coffee, tea, eggs, cereal, spices, flavorings, starch and starch derivatives, vitamins, enzymes, Stevie, colorings etc. 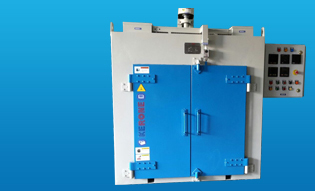 KERONE is leading name to help its clients with their unique and accurate need of heating and drying systems, we design and build various type of the dryers for critical as well as specialized needs. In our list of the products we also provide the solution for the gravure coating mechanics with our specialized dryer, we also call them gravure coating dryers. 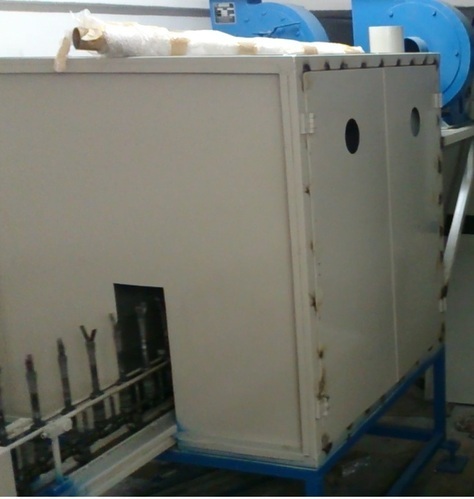 The specialized and custom developed gravure coating dryer’s uses very efficient and critical drying mechanism which helps in achieving the accurate and faster results. 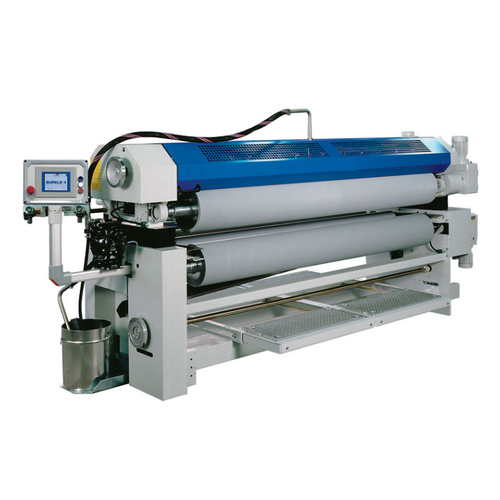 Gravure Coating dryers is having ability to dry the cost of both solvent-less coating and water/solvent-based coating. 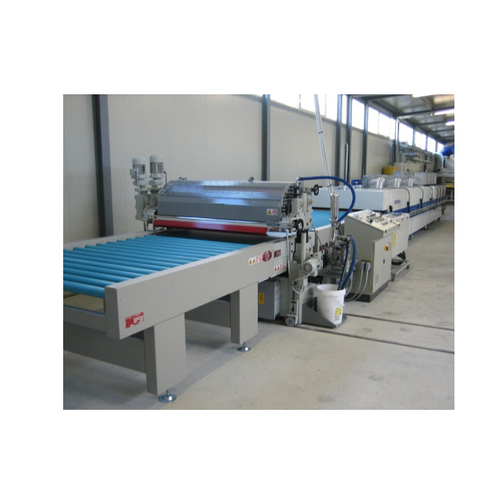 The dryers are manufactured to work with both the offset type as well as direct type of gravure Coating Machinerys. KERONE is well known name for providing quality and highly efficient roller dryer for the various needs of coating and impregnation plants. The roller dryer is also known as drum dryer. The roller dryer consists of a hollow roller with a smooth exterior heated inside out. It rotates on its longitudinal axis. In roller dryer rotates on its longitudinal axis which is heated roller, this metal roller is utilized to plunge in the solution to be dried. Web Coating Dies have many advantages over traditional coating methods such as roll coating.These types of machine also use less material, have better gauge control, and can apply multi-layer and pattern coatings. Exacting tolerances of up to 75 nanometers are available to complement the application and process specifications. Coating color:silver, golden, red, blue, green, rainbow etc.